Kyrenia (a.k.a Girne in Turkish) is on the northern Cypriot coast. 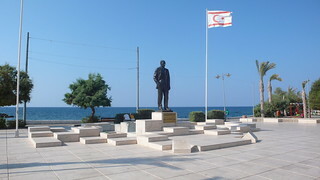 It became Turkish following an invasion of the island in 1974. This most historic town was originally founded by the Achaeans, dating to the end of the Trojan War, making it an important and well-preserved archaeological location. Kyrenia was a very busy maritime centre during antiquity, because of its proximity to the Greek islands of Samos, Kos, Rhodes and Turkish mainland. 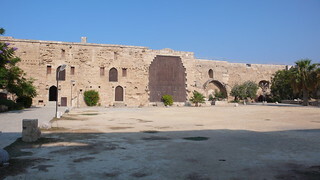 In Kyrenia, visit the spectacular Byzantine Castle at the east end of the old harbour. It’s surrounded by impressive Venetian towers, contains a shipwreck museum and its 12th century chapel has early examples of Roman writing. Also worth visiting is the charming Anglican Church of St. Andrews (immediately behind the castle), which is open all year round. The nearby 13th century Bellapais Abbey (Peace Monastery), built by French Augustinian monks, is worth visiting for its pavilions and refectory and the Ancient Greek Orthodox Church of Mother Mary Robed in White is quite charming in its own right. 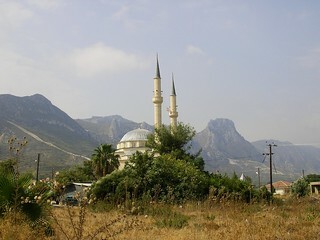 The Kyrenia mountain range is pretty spectacular and lends itself to serious hiking. Grand Byzantine buildings such as Kantara Castle (probably built by Richard Lion-Heart ), Buffavento Castle and St. Hilarion Castle dominate rugged beauty mountain spots. Although Kyrenia’s not as lively as Ayia Napa, in the southern Greek part of Cyprus, it does offer a varied night life. Late night bars and and lively dance venues abound along the sea front, while quiet cafes let you enjoy spectacular views and sunsets. Day trips from the harbour will take you to Alagadi Beach to the east, which is recommended for scuba diving. Alternatively, Escape Beach is great for families to enjoy swimming in the calm, shallow waters.